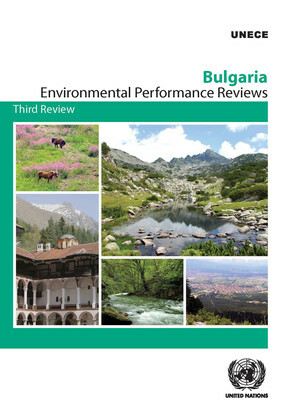 The present publication contains the third Environmental Performance Review of Bulgaria. It takes stock of progress made by the country in the management of its environment since 2007. The publication covers issues of specific importance to the country related to legal and policy frameworks, the financing of environmental expenditures, greening the economy, air protection, water and waste management, and biodiversity conservation. The review further provides a substantive and policy analysis of the country’s climate change adaptation and mitigation measures and its participation in international mechanisms. It also examines the efforts of Bulgaria to integrate environmental considerations in its policies in the energy sector. Suggestions for strengthening efforts towards a comprehensive and systemic response to sustainable development challenges are also provided. The publication is aimed at officials and experts working for public authorities responsible for environmental policy, representatives of civil society, the business community, academia and the media. ECE would also like to express its appreciation to the German Federal Ministry for Environment, Nature Conservation, Building and Nuclear Safety and the German Federal Environment Agency for their support by providing funds through the Advisory Assistance Programme, and to Norway and Switzerland for their financial contributions. Sincere thanks also go to France, the Netherlands and Portugal for having provided their experts, and to the United Nations Development Programme for its support of this review. ECE also takes the opportunity to thank Austria, the Netherlands and Switzerland for their general financial support to the EPR Programme and expresses its deep appreciation to Belarus, Estonia, Georgia, Germany, Hungary, Montenegro, Republic of Moldova, Romania, Sweden and Switzerland for having provided their experts for the ECE Expert Group on Environmental Performance Reviews, which undertook the expert review of this report.